The wait is over! The 2018 Mustangs are here, and they’re everything we’d hoped they’d be, and then some. This model year is packing an exciting set of new features that have improved performance and brought about several technological advancements. 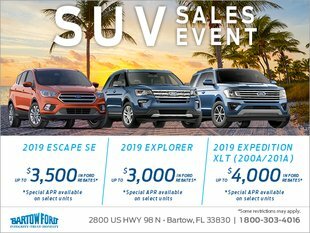 Bartow Ford is over the moon, and we think you will be, too. Let your Ford Lakeland dealership show you what you can expect out of America’s favorite muscle vehicle. The GT edition of this year’s Mustang is powered by a 5L Coyote engine that is capable of providing 460 horsepower and 420 lb.-ft. of torque. That power has allowed it to accelerate from 0 to 60 in, astonishingly, less than four seconds, beating out the $90k+ Porsche 911. 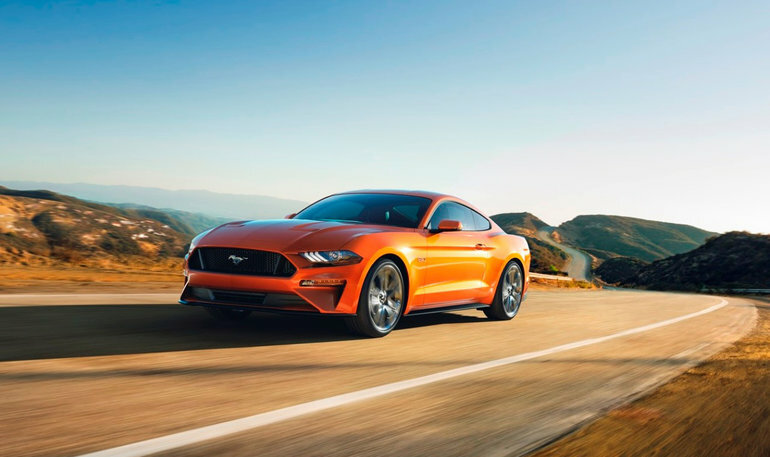 The edition with the 2.3L EcoBoost engine can get there in less than 5 seconds, as it provides an impressive 310 horsepower and 350 lb.-ft. of torque. Owners will also have the option to upgrade to a 10-speed automatic transmission. Although the exterior of the vehicle doesn’t see many changes, except some grille options, the interior will take advantage of many improved tech features. The infotainment system will include a full LCD right in the middle of the instrument cluster, providing the latest in luxury. You’ll also have the option to integrate carbon fiber interiors and accents, including the shift knob and dashboard. One of the most innovative features that you never think of, but can immediately recognize the use of, is the Quiet Start and Quiet Exhaust Mode. The driver will now be able to partially close the exhaust in the vehicle and effectively lower the noise outputted! Your neighbors will undoubtedly be appreciative of this new feature, particularly on the weekend! Noise levels will drop as much as 10 decibels! We are thrilled to have our customers experience the 2018 Mustang in all its glory once it is on our lot by the end of October! Stop by our location on 2800 US HWY 98 North, Monday through Saturday, to take a look at one of our beautiful mustangs at your Ford Lakeland dealership of choice.